Game of love is a story which revolves around the lives of three brothers. 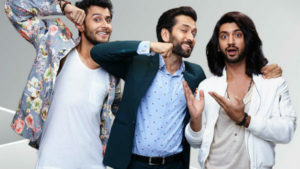 Shivaay(Nakhul Mehta), Omskara (Kunal Jaisingh), and Rudra(Leenesh Mattoo). How they had different goals, opinions, and views about love and what destiny has in store for them. However, revenge is not far from them as old enemies seek destruction. In the Oberoi family, Dadi has 2 sons named Tev and Shakti. Tev marries Jhanvi and they are blessed with 3 children, Omskara, Rudra and Priyanka. Shakti marries Pinky and they have a son named Shivaay. Shivaay is a well-respected businessman who refuses to believe in love. Due to his mother’s insistence, he agrees to marry Tia Kapoor. But, he marries an orphan called Anika instead. He gradually grows closer to her and they fall in love. Omskara is an artist who also turns businessman after a while. He meets Ishana who only wants him for his wealth. Luckily, Ishana gets exposed by Shivaay and Rudra and Omskara throws her out of his life. Omskara meets Riddhima and she also betrays him. After this encounter, Omskara begins to despise the idea of love. Finally, he marries Gauri, a shy and calm girl. At first, Omskara hates her but as time goes on, they fall in love. Rudra, the youngest brother has no goals or ambitions. He is a fun freak and loves partying. He meets a girl named Saumya and they marry unknowingly. But, Rudra refuses to reciprocate Saumya’s love for him so, she leaves him and exits from Korea his life. Then enters Bhavya, a police officer and a simple girl. Bhavya and Rudra fall in love but their age difference proves to be a barrier. Priyanka, their sister is an honest and shy girl. Priyanka gets married to an officer named Ranveer. Ranveer displays a negative character but Priyanka’s love and commitment change him. Now, the family enemies happen to be Saumya, Tia, and Svetlana Kapoor. The trio plots to take revenge on the Oberoi family. From the onset, Shivaay and Anika are always at loggerheads and create dramas and entertainment with their crazy arguments and dialogue. Here comes a good news for the duo fans as Rudra and Omkara decide to turn Shivaay friendly with Anika. They want Shivaay to understand her better as a person than being an ordinary employee. Hence, Omkara will plan a dinner date for the two and persuades Shivaay to interact cordially with her when they meet. On getting to the venue, Shivika starts a conversation to get to know each other better but they are interrupted when Malika(Shivaay ex-girlfriend)walks in. Malika’s entry influences Anika and she begins to realize how kind-hearted Shivaay is. This will lead to the beginning of cute moments between Shivaay-Anika and viewers should stay tuned to catch these scenes soon! Shivaay is not going to marry tia he is going to forcefully marry Anika but later Anika fell in love with Shivaay but pinky Shivaay mom was not happy about the marriage and plan to separate Shivika fortunately she saw a look-alike of Shivaay then she lied to Anika that Shivaay was an illegitimate child and he was not her son. 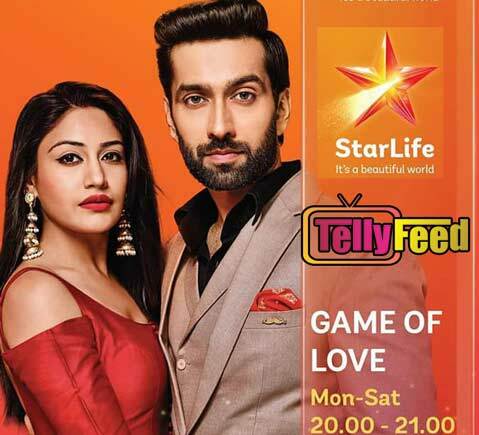 Brief Information and Details on Game of Love on StarLife. Nakuul Mehta as Shivaay Singh Oberoi. 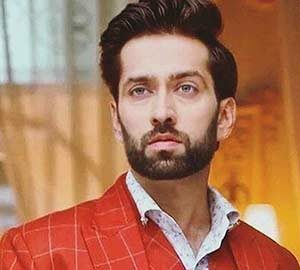 Read Bio: Nakuul Mehta as Shivaay Oberoi Singh. Shivaay is a businessman whose family lineage and business means everything to. In the outside world, he becomes arrogant and proud. Only when he is with his family, can a person see his true personality. Leenesh Mattoo as Rudra Oberoi Singh. 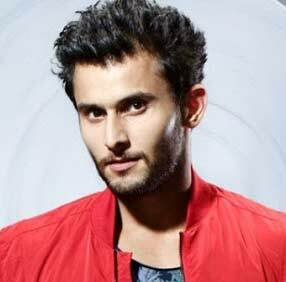 Read Bio: Leenesh Mattoo as Rudra Oberoi Singh. Rudra is the Casanova of the family who makes his way to the heart of any girl with his looks and charm. He lands in trouble most times but his brothers always comes to the rescue. 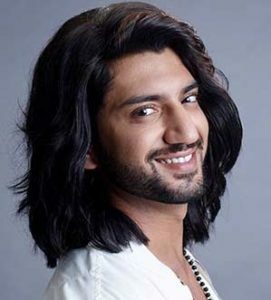 Kunal Jaisingh as Omkara Singh Oberoi. Read Bio: Kunal Jaisingh as Omkara Oberoi Singh. Omkara is blunt but compassionate to those around him. He loves his brothers unconditionally no matter the situation. Surbhi Chandna as Anika Shivaay Oberoi. Surbhi Chadna as Anika Shivaay Oberoi. Anika is the orphan who later found her family. She is also the wife of Shivaay. Reyhna Malhotra as Svetlana Kapoor. Reyhna Malhotra as Svetlana Kapoor. Svetlana is one of the Kapoor sisters who is wanting to avenge the Oberoi family. Shrenu Parikh as Gauri Omkara Singh. Shrenu Parikh as Gauri Omkara Oberoi. Gauri is the wife of Omkara and also the shy type. Mansi Srivastava as Bhavya Rudra Oberoi. Mansi Srivastava as Bhavya Rudra Oberoi. Bhavya is the wife of Rudra. 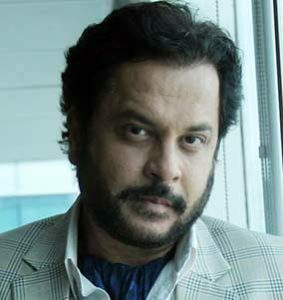 Mahesh Thakur as Tej Oberoi Singh. Mahesh Thakur as Tej Singh Oberoi. He is the father of Omkara, Priyanka and Rudra. The Kapoors are successful in their plans… They have ruined the lives of Oberois. What will happen now… The story unfolds everything. As a soapie blogger, I have encountered several Tv series but after watching (Isqhbaaz)Game of love, it felt like its the only soapie I have ever seen on my screens. Isqhbaaz caught my interest for the very first time even though I refused to acknowledge it. Later, I discovered that I couldn’t stop myself from watching it in a day. Game of Love made me realize the value of immense love and strong bond displayed by the 3 brothers. Also, the story setting is fantastic, the dialogues are funny and the actors mostly Anika captured my heart. After watching game of love for few days, I got crazily addicted to it and I also encourage viewers to keep their loved ones close and conquer the world with Game of love.